The 25th Conference on Rural Research will be held in Leppävirta, Eastern Finland, at Hotel Vesileppis on 31 August 2017. This year’s theme will be ‘countryside on our doorstep’. Close contenders for the top spot included Karelian hot pot, Karelian pasties, and fried fish with mashed potatoes. In autumn 2016, close to 50 000 Finns gave their vote in a public call to find the national food of Finland, celebrating the 100th anniversary or independence this year. In the first voting round in summer 2016, around 10 000 individuals submitted a total of more than 1000 suggestions for the national food. A jury composed of food experts picked 12 Finnish food gems from these suggestions as the finalists: pizza, pea soup, rye bread, the Easter delicacy mämmi, fish soup, the fermented milk product viili, Karelian pasties, bilberry pie, fried vendace / Baltic herring / perch with potatoes, Karelian hot pot, cured fish, and liver casserole. The winner was picked from the finalists in a new voting round at the end of 2016. Around 40 000 people gave their opinion, with a bit over a hundred of the votes arriving on a traditional postcard. 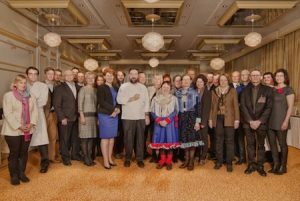 The vote for the national food of Finland was organised by the ELO Foundation for the Promotion of Finnish Food Culture, together with the Central Union of Agricultural Producers and Forest Owners MTK, and the Finnish Ministry of Agriculture and Forestry. Rye bread was a clear winner by almost 10 000 votes. It was also the definite favourite of voters under 30. Other young people’s favourites included Karelian pasties, while those over 60 picked Karelian hot pot and fried vendace or Baltic herring with mashed potatoes as their ultimate Finnish dish. Bilberry pie was the favourite dessert of voters of all ages. The national food was selected through a public vote. The jury’s task was to ensure that the finalists represent a wide range of Finnish food culture through different stories, ingredients, and preparation methods. 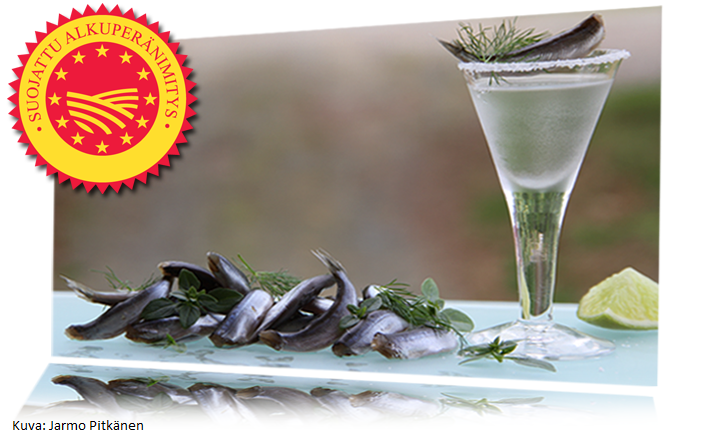 The jury’s pick was fish soup with its seasonal adaptability, always suitable to serve with rye bread. 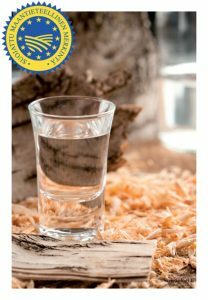 The Finland 100 centenary year celebrates rye bread – what is your take on rye? The national food jury suggests that Finnish Culture Day (28th February), also known as Kalevala Day, would also be named as a day of food culture. Companies and organisations working with rye products have decided to celebrate rye bread especially as an everyday dish. The jury encourages countryside people to come forward also with their local specialities – in the traditional form, or with a modern twist. The vote confirmed the iconic position of rye bread in Finland. All Finns share their own special relationship and story around it. The work towards securing local raw material sourcing for Finnish rye products, a strong know-how of health benefits, and developing new era snack products predict a great future for rye in Finland. In addition to bread, rye is used in many Finnish speciality products: the Easter dessert mämmi, the traditional fish-filled bread loaf kalakukko, breaded fresh water fish, or rye whiskey, for instance. The jury has composed stories about rye bread – go read your favourites (in Finnish) or write your own and share it with the hashtag #minunruisleipäni (’My rye bread’). The ELO Foundation and their partners will portray each national food treasure one at a time in a set of 12 celebratory months. 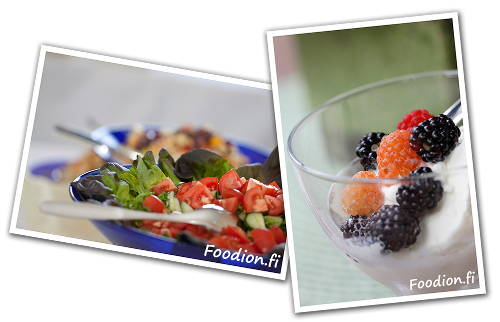 More on the National Food website at www.kansallisruoka.fi (see also the voting results). The jury included: Secretary General Arja Lyytikäinen (National Nutrition Council), Chair Maija Silvennoinen (Rural Women’s Advisory Organisation), Founder Samuli Karjula (Harvest Season Calendar), Restaurateur Henri Alén (Finnjävel), Executive Director Marianne Heikkilä (Martha Organisation), Professor of Food Culture Johanna Mäkelä, Historian and Author Lasse Lehtinen, Head Archivist Yrsa Linqvist (Society of Swedish Literature), Chair Kim Palhus (Finnish Gastronomy Society), Editor-in-chief Kati Kelola (Mondo travel magazine), Food Culture Ombudsman Anni-Mari Syväniemi (MTK), and Executive Director Seija Kurunmäki (ELO Foundation). The local food co-ordination project is a national initiative to increase and intensify collaboration amongst operators in the local food sector and to improve this sector´s competitiveness via networking. The project draws together national, local, and international measures pertaining to locally produced food and enhances communication, collaboration, and distribution of related tasks among operators and projects in the field. At the same time, regional development work will be supported and complemented by building of contacts and planning of joint measures. Communication-related actions form a central part of the project, because communication is one of the key factors influencing all aspects of the project. The local food co-ordination project is being realised in close collaboration with regional operators and national partners, including producers in fields related to the local food sector, such as organic food, natural products, and – particularly food-related – tourism. The project’s main target group consists of local, regional, and national projects and operators in the local food sector. The resulting networks will benefit local food producers and other companies in the field, along with their customers, from consumers to professionals. The project is being carried out between 17 June 2015 and 31 January 2018. Funded by the Centre for Economic Development, Transport and the Environment of Häme as a national co-ordination project, the local food co-ordination project was set up as a tool for implementing the Rural Development Programme for Mainland Finland (2014–2020). 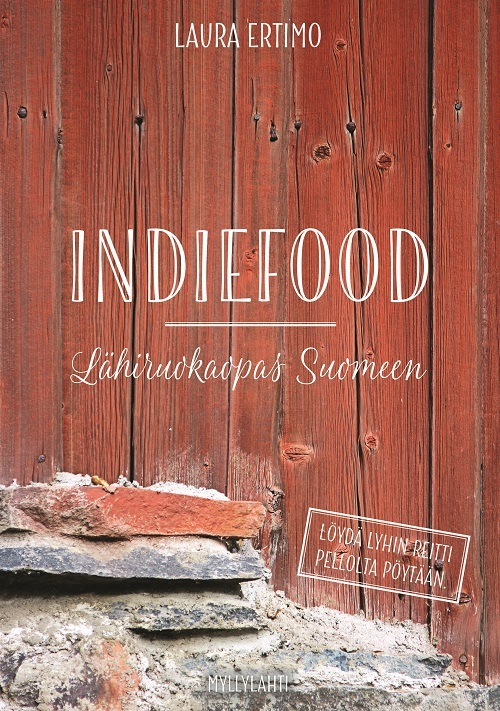 The IndieFood local food guide introduces some 800 local food services from all over Finland. 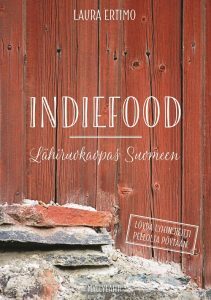 Produced by publishing company Myllylahti, ‘IndieFood – Lähiruokaopas Suomeen’ (IndieFood – Local Food Guide to Finland) introduces about 800 local food-related services from all over Finland and provides valuable information for both travellers and home chefs looking for high-quality ingredients. The information is organised on the basis of region and municipality, making it easy to find the best spots for a break and a bite to eat, along with the nearest farm shops and the most interesting stores. The book also introduces the reader to food networks, co-operatives, and REKO groups. Laura Ertimo is a non-fiction writer with an interest in food and where it comes from. Published in 2011, her local food guide was among that year’s best-selling non-fiction books. 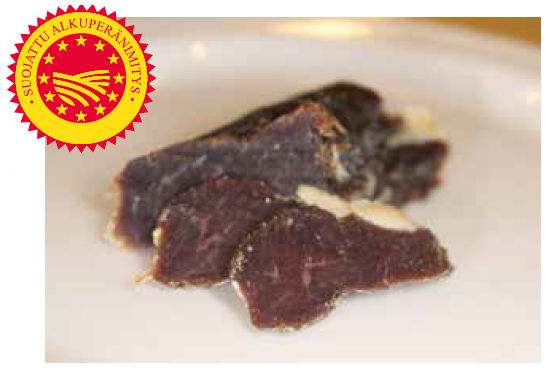 The local food co-ordination project and its experts, from all corners of Finland, participated in the selection of producers and service-providers included in the IndieFood guide. “IndieFood touches upon an everyday topic that covers big questions, such as the origins of food and local residents’ livelihoods. I like to gather information on Finnish small producers because I want to know where my food comes from and to show readers that you don’t need to travel far to find wonderful things,” Ertimo explains. Kuopio, in eastern Finland, is known for its Kalakukko, fish and pork pie, which has always made a handy packed lunch and a popular gift. It combines bread, fish and meat in one package. The traditional kalakukko from the Savo region is either round or oval in shape. At its best when still warm, the pie is cut open at the top. Slices are then cut off the crust and topped with the pie filling and some butter. 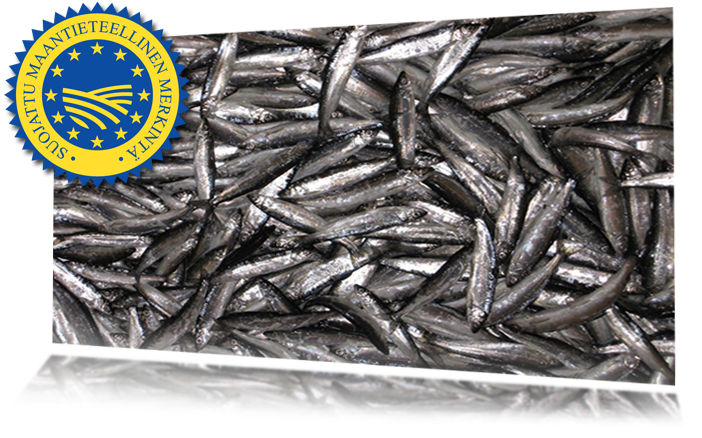 It is purely a question of taste whether you prefer vendace or perch as the filling. 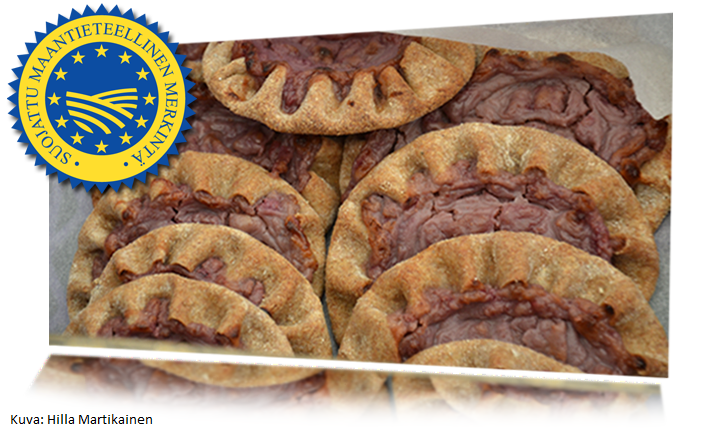 The best Kalakukko pies can be found in speciality bakeries and market halls and at outdoor markets. A great delicacy that has been enjoyed for centuries, this vendace from Lake Puruvesi has been a source of wealth for the region since the era of Swedish rule. Its special characteristic is its soft backbone, which means it can be prepared by frying and smoking or used in soups without the need for deboning. The lake’s unusually clear water gives the fish its silvery colour. Puruveden muikku is also known for the methods used to catch it, as it is usually done with traditional techniques such as using seine. The skills required to locate and catch the fish have been passed from one generation to another. The vendace is also caught on the moonlit nights of late autumn when it comes to the surface of the water – an unusual fishing method that is typical of Lake Puruvesi, with its clear water. 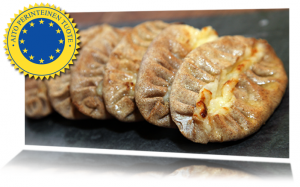 Who doesn’t love the authentic Karjalanpiirakka, Karelian rice pie? Karjalanpiirakka is true national food. Fresh from the oven and with a layer of melting butter on top, these fragrant pies are bound to make your mouth water. Karjalanpiirakka has the fresh flavour of rye. They are suitable for parties and everyday occasions and can be served as a snack and as a side dish with a meal. Not only traditional and delicious, they are also healthy. 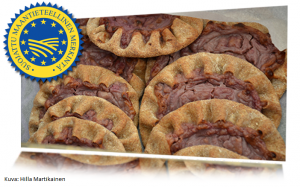 Karjalanpiirakka can be eaten as they are or topped with cold meats or a mixture of egg and butter. These Finnish berry and fruit liqueurs are made from fruit and berries harvested in Finland. Pure Nordic nature and the light-filled summer nights lend the products their unique flavour, freshness, and colour – to delight all our senses. Produced by a master liqueur-maker, the liqueurs are prepared by infusing spirits with fruit or berries until the beverage matures and achieves a rich flavour and beautiful colour. 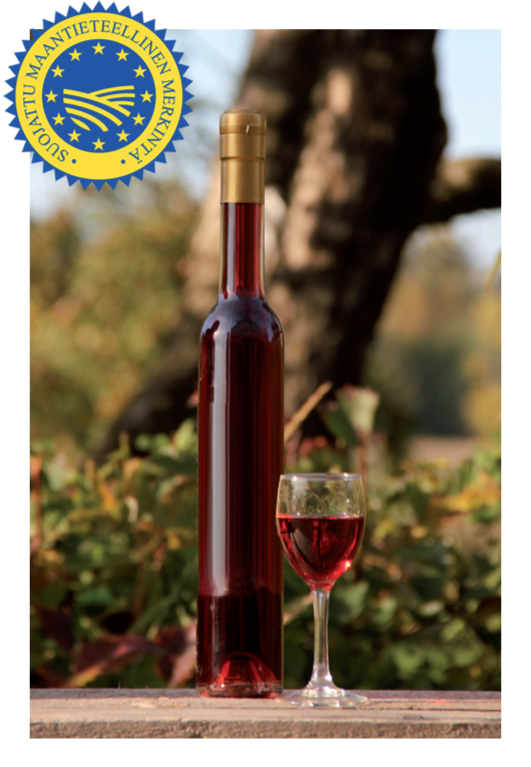 Enjoy Finnish berry or fruit liqueur as-is, use it in mixed drinks or cocktails, or add to a dish to enhance its authentic Finnish aromas. The protected product name campaign is part of the national Nimisuojasta kilpailukykyä (Competitiveness through name protection) project. 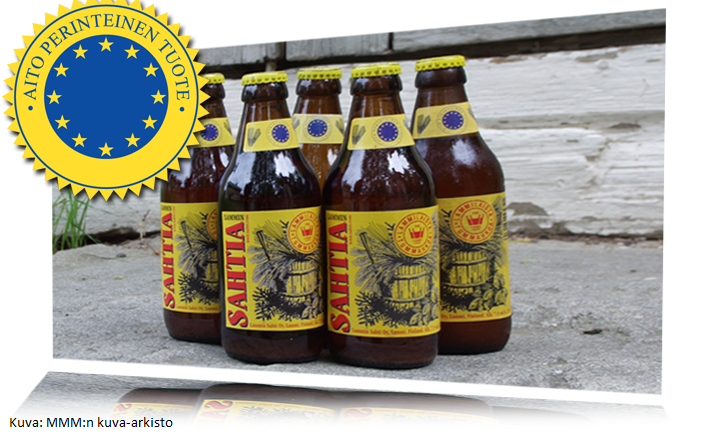 The goal of the project is to improve the competitiveness of Finnish food products via the EU schemes to protect names of agricultural products and foodstuffs. Professional kitchens, wholesalers in the hotel, restaurant and catering (HoReCa) sector and retailers are all looking to increase the range of local foods in their selections. To foster collaboration among various operators, a supplier’s product card has been developed to offer support in negotiations between small companies and buyers. A simple, everyday tool, the product card helps producers to identify their product’s strengths prior to sales negotiations. The card highlights points that buyers are interested in when evaluating new products. – First and foremost, the card is intended to help producers prepare for sales negotiations with a potential buyer, explains project manager Päivi Töyli from the University of Turku’s Brahea Centre. 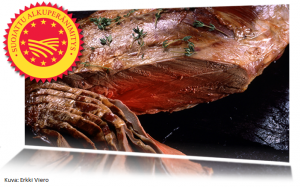 The card includes information on the product’s shelf-life and suitability for special diets, and on whether it is organic and how it is ordered and delivered. The idea behind the card is to encourage producers to analyse their product’s unique selling points and stand-out qualities. – Small companies’ products have their place in supermarket selections. In the retail sector, we have gained positive experiences from product cards and it’s excellent news that a new and improved version of the tool is now available to assist in collaboration between small companies and HoReCa wholesalers, says the Finnish Grocery Trade Association’s Director Ilkka Nieminen. In 2012, the Finnish Grocery Trade Association developed a product card for the retail sector, aimed at facilitating collaboration between small food businesses and retail companies. Soon, various operators realised that a similar card would come in handy in negotiations with HoReCa wholesalers and professional kitchens. The product card has undergone further development to meet the needs of both groups of buyers. The new card also takes into account recent changes in the requirements for package labelling. 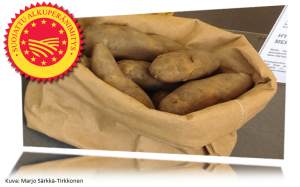 Collaboration among wholesalers, professional kitchens and companies is promoted as part of the Paikallisruoan arvoketjua kehittämässä (development of local food value chain) project. The main partners of the project are the Finnish Grocery Trade Association, HoReCa wholesalers, regional food-industry developers, and the Central Union of Agricultural Producers and Forest Owners (MTK). Funded by the Ministry of Agriculture and Forestry, the project began in 2015 and will continue until 2017. The Paikallisruoan arvoketjua kehittämässä project was set up to promote collaboration among HoReCa wholesalers, professional kitchens and local food companies. The Trueflavours.fi (Aitojamakuja.fi) website provides an overview of good practices in this sector. Running from 2015 to 2017, the project is funded by the Ministry of Agriculture and Forestry. Finnish legislation on foodstuffs now allows various forms of small-scale sale and processing of foods without excessive red tape. Recently, the Ministry of Agriculture and Forestry financed the publication of an information booklet on small-scale, low-risk production and sale of food items. The publication provides information on the practical application of legislation on foodstuffs and measures taken to make it easier to start a food business. With these measures, there is no danger of food safety being compromised, and no corners will be cut in terms of companies’ responsibilities. 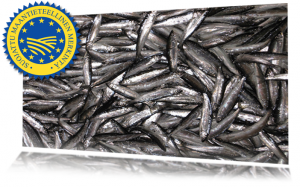 Under the new guidelines prepared in collaboration with operators in the sector, small-scale and low-risk processing of foods may now be performed in connection with primary production without the need to submit a notification on food premises to authorities. ‘Low-risk product’ refers to foodstuffs, such as cakes, that can be stored at room temperature. The brochure provides examples of low-risk products and offers advice on the handling of products that present higher risk. The upper limit for small-scale sales is set at 10,000 euros per year. The regulations of the Finnish tax Administration apply to the operations. For instance, the new guidelines enable a pick-your-own-fruit farm to set up a café for the summer season without submitting a notice about food premises. Establishing a farm shop too has been made easier, with a business-owner allowed to sell produce from other producers also (with the exception of eggs and raw milk) without submitting a food-premises notification. These regulations apply to private persons also, not only to businesses. Some examples are available at www.aitojamakuja.fi/suoramyynti. The examples also facilitate the monitoring of notification-related restrictions affecting small-scale and low-risk food-business operations. The new brochure complements a series of publications on direct sales of local foods, foodstuffs production, and sales and retail activities. The guidelines are part of the Finnish government’s spearhead project aimed at the streamlining of regulations pertaining to business. The parties involved in the preparation of the brochure were the Ministry of Agriculture and Forestry, Finnish Food Safety Authority Evira, the Central Union of Agricultural Producers and Forest Owners (MTK), the Swedish-language organisation for agricultural producers (SLC), the Rural Women’s Advisory Organisation, and the University of Turku’s Brahea Centre. The Rural Development Programme for Mainland Finland 2014–2020 offers various tools for the development of food businesses. Basic information can be found in the programme’s publications, and the experts with the project may be contacted for further assistance. New companies and businesses looking to expand may apply for funding from the programme. Not intended only for farm-owners, these subsidies may also be applied for by other food businesses. Several funding schemes exist, to meet specific needs. Start-up support is designed to assist in the establishment of a new company, changing of an existing company’s operations, or experimental activities. Investment support is intended for companies looking to make acquisitions. The investment feasibility study subsidies provide assistance in planning of investments. Food-sector joint projects assistance is available for a group of companies planning both company-specific and joint business development measures. The goal may be to develop new products and methods, form shorter delivery chains, undertake marketing and sales collaboration, or develop joint product ranges. The website of the Agency for Rural Affairs offers further information on business subsidies. A brief introduction to the support schemes is available in Finnish at www.aitojamakuja.fi/arkisto/Ruokayritysten_tuet_2016.pdf. 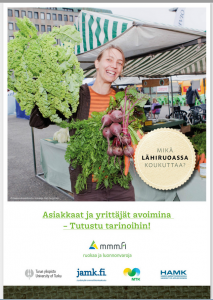 Finland’s local food co-ordination project has also published other material, guides, and instructions for food businesses. You can read more at www.aitojamakuja.fi under ‘Materials’. Finland boasts numerous small companies that produce top-quality food products. However, the domestic market for niche products is relatively small, propelling companies to turn their gaze abroad for growth opportunities. 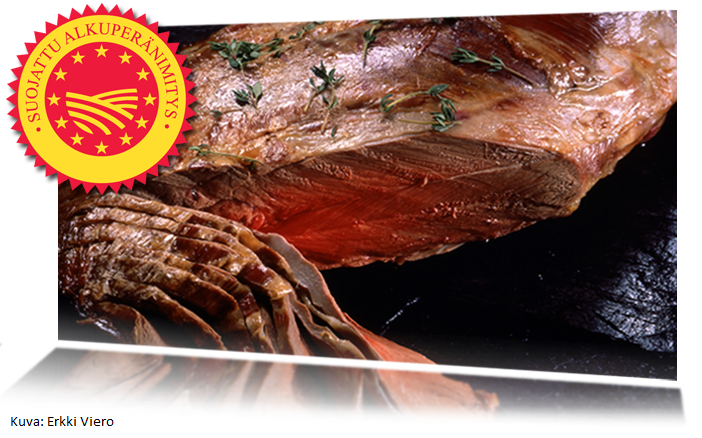 Known as the home of gastronomy, France has a domestic food market that is many times the size of Finland’s. Cracking this tough market would open the doors to many of the world’s top restaurants for Finnish producers. ‘There is potential for demand for Finnish products to grow in France, as the world’s top chefs are always on the look-out for new, high-quality ingredients that will help them stand out from the crowd. But a good product isn’t enough: other factors, such as service, are an essential part of the export of top-quality products, and once Finns understand this, the doors to the French market will open,’ explains Jarna Coadic, from Paris-based promotion company Action Finland! The ProAgria advisory organisation and Action Finland!, a Paris-based company with expertise in the French market, have arranged a week-long promotional event offering 15 Finnish producers an opportunity to showcase their food products in Paris. Held at the heart of this metropolis, the event offered France’s food professionals an introduction to Finnish products. Guests included chefs from Michelin-Star restaurants, buyers, celebrities in the field of gastronomy, directors of wholesale and catering companies, representatives of the world’s largest wholesale market, owners of gourmet and speciality food shops, members of the media, and well-known bloggers. The afternoon’s event was part of ProAgria’s programme promoting Finnish exports to France, funded by Finland’s Ministry of Employment and the Economy and the Ministry of Agriculture and Forestry. Export of Finnish top products to France began in autumn 2015. In spring 2015, ProAgria and Action Finland! Launched a Franco-Finnish collaboration project aimed at offering small Finnish food businesses a concrete opportunity to enter the French luxury-product market. 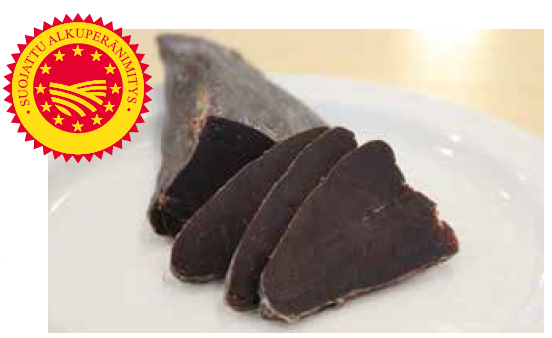 The Finnish products accepted for the programme have been carefully hand-picked, through French expertise. ‘We have selected only products that have a good chance of gaining a foothold in the difficult French market. It’s a challenging task, as buyers in France expect high standards with regard to both the product and service,’ explains Tuula Repo, from ProAgria. As part of the project, the parties have created a process for identifying target groups and the preferences of potential buyers, testing products, kick-starting export, and increasing product awareness in France. 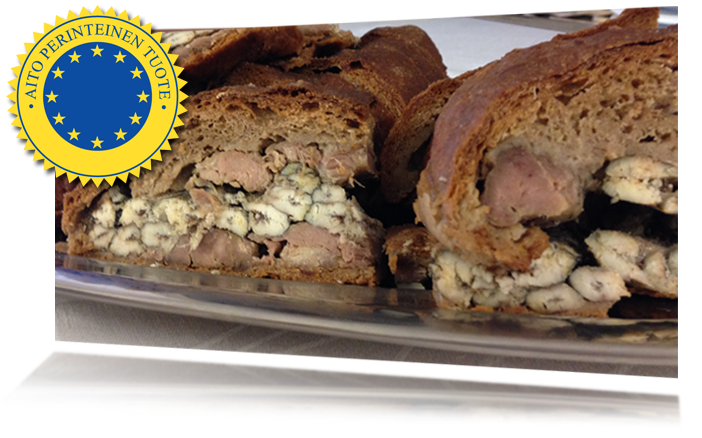 Products from all the companies participating in the programme have been tested by top food experts in Paris. Now the doors to the French market have opened, and product orders and deliveries began in autumn 2015.